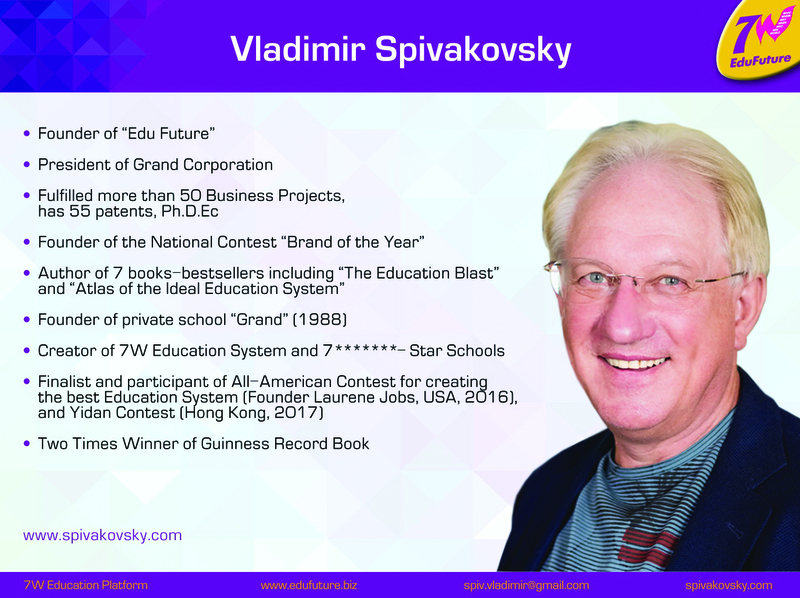 A new marvelous book by famous scientist, businessman and educator Vladimir Spivakovsky, Ph.D.
Everybody knows, that atlases are different. There are Geographic Atlases, which depict continents, oceans, countries, seas, mountains and rivers. There are also Road Atlases (as well as Google's navigation), which depicts highways, exits and interchanges. There you can chose the navigation of your route, – more convenient and quicker to reach your destination. There are Starry Sky Atlases, in which constellations and Galaxies are depicted, along which the trajectories of stars, meteorites and satellites are figure out. However, nobody decided to create the overall and structured Atlas of Education System. Now it does exist. According to this Atlas it is now easy to be guided by key questions: why, what and how study in the 21st century? In Atlas you can find a variety of curricula, design spaces, business models, pedagogical innovations and unique formats of the world's best schools. Atlas is a system generalization and a clear algorithm for transforming the Education System. This Atlas is irreplaceable and it “must have” every school, family, university, researcher, policy maker, and teacher. Why? Because never before in one place a unique and convenient information about the Education System in the 21st century was collected, for use from a local school to the whole education industry. how, what, and why study in the 21st century.